I often say, “Despite having to catch bait, guiding is an awesome job.” If you had to get out of bed every morning at 3:00 to 3:30am, to have enough time to hit the water and catch bait before you pick up 7:30 am charter with a welcoming smile, you’d understand. That being said, it’s important not to overload your live-well with bait during the summer months, unless you want to risk it dying. I am a glutton for bait, and a firm believer that you can never have too much, but I even take precautions not to overdo it this time of year. Once I load main 55 gallon live-well, that’s equipped with two 1,100 gph pumps with bait, I know I’m set for the day. Then before I leave my bait spot, I transfer four to five scoops of bait to my rear auxiliary 20 gallon live-well to give them more wiggle room. Understanding the tidal flow for your fishing area on the day you choose to fish, is of the utmost importance for success. By sunrise, the water temperature is already in the mid-80’s and it only gets warmer as the progresses. By no means should you go onto a grass flat during the tall end of a falling tide without monitoring your bait repeatedly. If you start to see it fluttering sideways or the surface gulping for air, it’s time to exit that area immediately and hope you salvage enough of your hard-earned bait to finish out your day. Enough about bait, let’s get to the fishing! The mangrove snapper bite is outstanding. So much so, as soon as you start chumming, dozens are coming to the surface. Once a chum slick is established, the best way to catch them is to drift your bait back with the chum. As soon as you notice line start rushing off your reel, close the bail with your hand and start reeling until your line is tight. If you like Spanish mackerel fishing, now’s the time to catch some monsters. 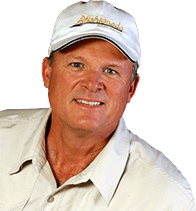 Anchor your boat over some hard bottom, an artificial reef or up tide of a range marker and start a chum slick. This time of year, chumming is the key to a successful today of fishing. Some days, the Spanish mackerel or so big, you’d swear they’re juvenile kingfish as they approach the boat. Motto: Chum and they will come! As far as the snook and redfish bite, it’s been inconsistent at best. Both species are feeding best during a strong tidal flow around a high tide and some days are better than others. Don’t be one of those guys who only wants to catch snook or redfish right now. Will you catch some fish? Yes, but adding other species to your list will make the day much more rewarding. Featured photo: Last month, I helped organize another corporate tournament and was fortunate to have Alyssa Schutter onboard, who was celebrating her 23rd birthday. Boy was luck on her side. 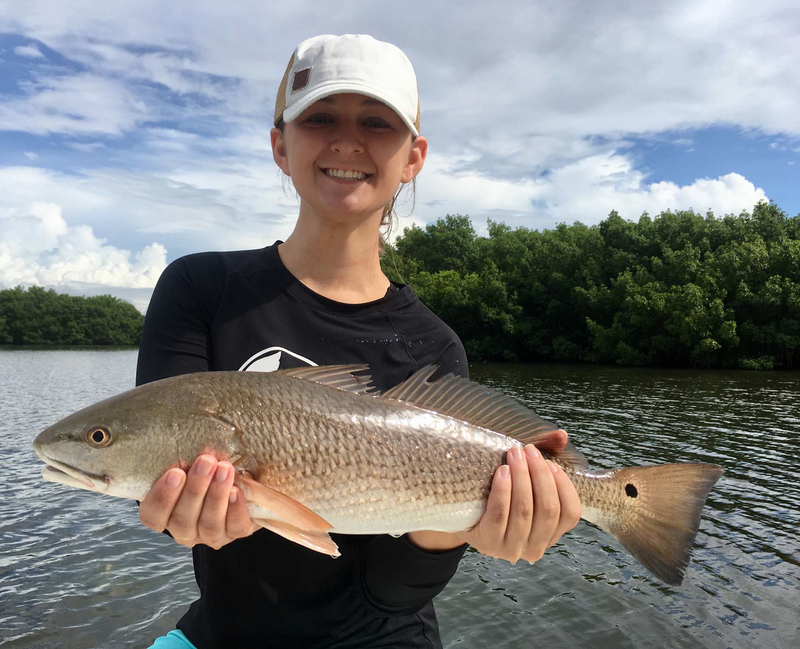 Once I moved onto a grass flat and anchored, Alyssa’s first cast yielded a redfish. Her second cast a snook and the third, a trout. Alyssa accomplished an inshore-slam, in about fifteen minutes. That’s unheard of and in record time aboard Afishionado. Happy Birthday Alyssa and congratulations or winning the inshore-slam division! https://www.afishionado.com/wp-content/uploads/2018/07/flexibility-key-to-success.jpg 1558 1920 swjiv https://www.afishionado.com/wp-content/uploads/2018/03/afishionadoheader2.jpg swjiv2018-07-13 00:56:142019-01-15 01:03:33Flexibility is The Key to Success! Time For The Big Ones! So far, so good. NO RED TIDE!